Processing of sputtering target | Advantech Inc.
We are processing various target and backing plate under thorough quality control at Nagano Prototype Center and 2 base of Suzhou Plant (China) as the processing base of the target backing plate. We OAO POLEMA (head office: Russia, following, POLEMA) it will be the distributor in Japan of. POLEMA Russia headquartered, US, Germany, South Korea and Taiwan, etc., it will be the world's largest chromium manufacturer with offices around the world. 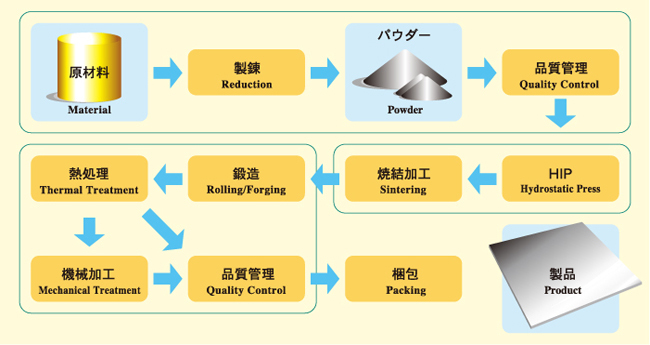 Various powder metallurgy in for thin-film technology and high-tech industry, sputtering target, manufactures and sells a crucible or the like.